The best Nerf gun accessories for your Nerf War team! Worried about violent video games? Are Nerf gun video games good for children? 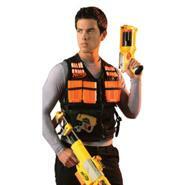 Check Out Our Top Rated Nerf Guns Below! 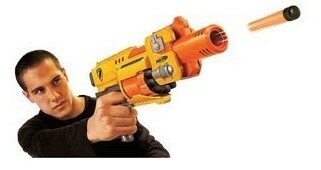 Are you ready for the best nerf gun? Read my Nerf stampede report! 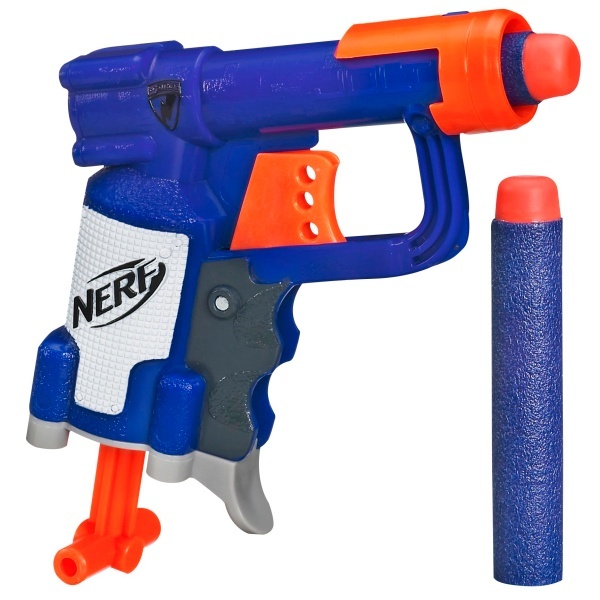 The Ultimate sniper nerf gun: Nerf Longstrike! Read all about it here! 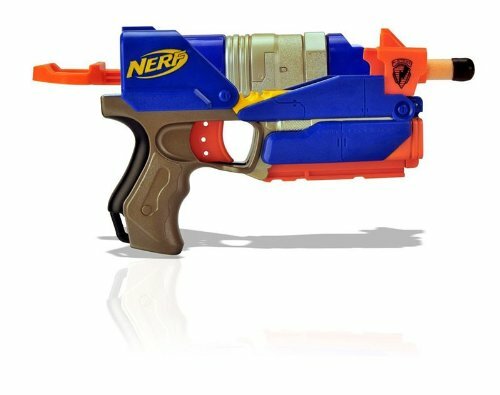 Hello and welcome to nerfgun.co.uk! As you may have noticed, the Nerf gun craze has made its way to our shores from the U.S and it is taking over our country by force! 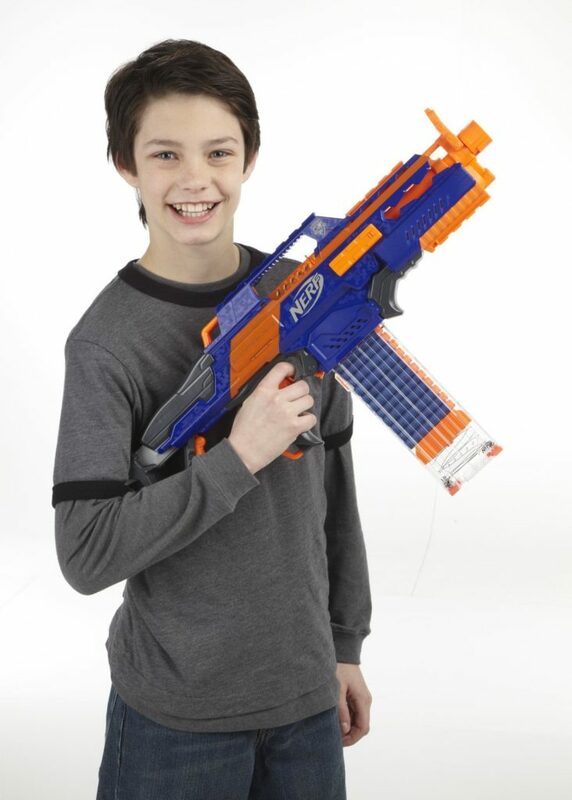 It seems that there's a Nerf war going on everywhere these days, from school grounds and playgrounds to break rooms of big corporations and companies! 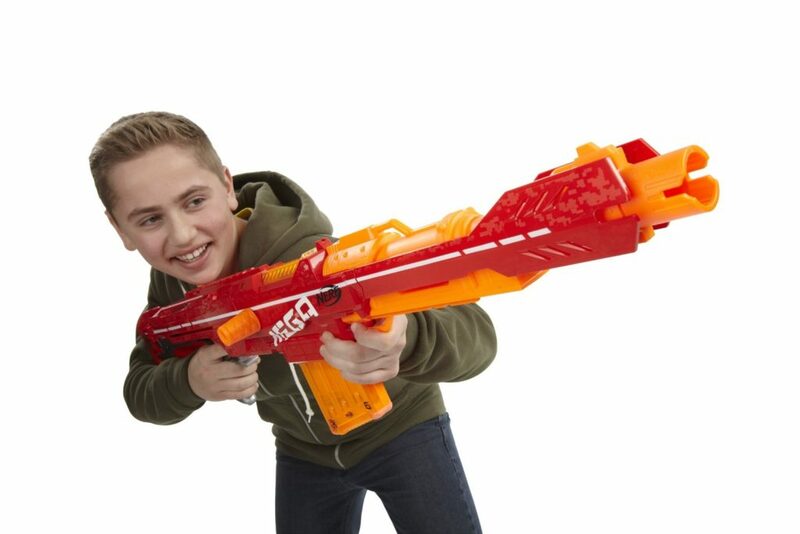 If you or your child would like to join in the Nerf guns UK craze, then you've come to the right place! 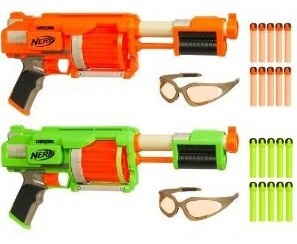 The purpose of this web site is to help people find and buy Nerf guns that are the best for them or their kids! In order to achieve that, we have spent countless hours on the web researching those amazing toy guns and we found the best ones and wrote really detailed and informative reviews about them! 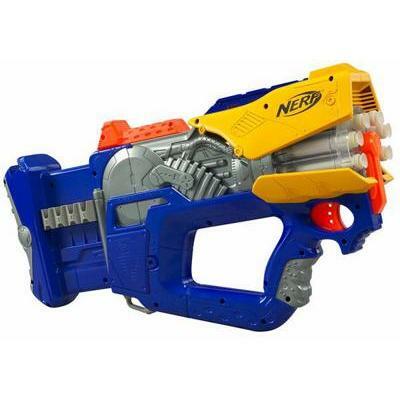 That’s not all though, finding the best Nerf gun models on the market is only one half of our job, theother half is helping you buy new Nerf guns at really cheap prices! Just look at the end of each review and you will find a link to the web site that sells the model that just got reviewed for the cheapest price on the web! 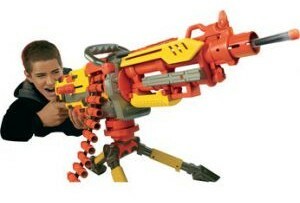 But just what is it that makes the Nerf toys stand out from other toy guns for kids? What is it that makes them so popular and successful? Well, there are two reasons for that! 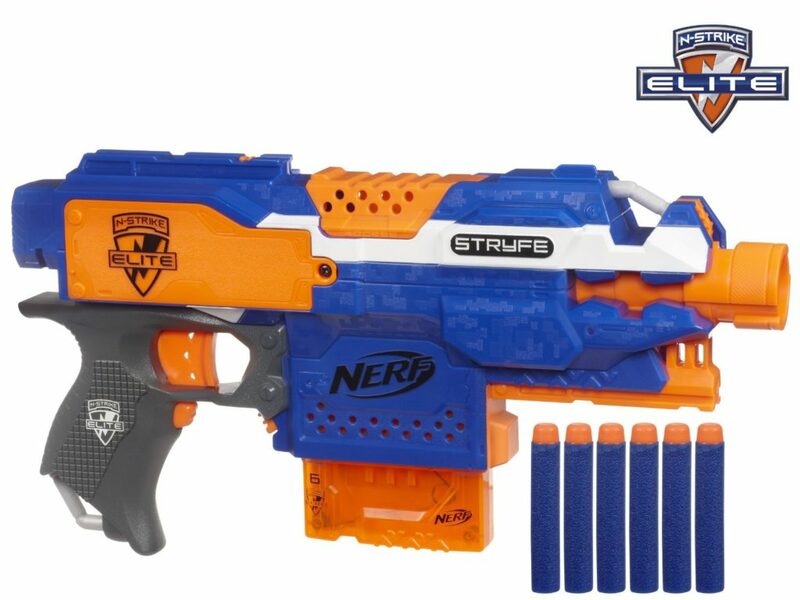 The first reason is that all Nerf guns look like real guns but they are not too realistic.They are brightly coloured and their designs resemble something out of the pages of a comic book or an episode of Dr. Who! This is great, because according to recent studies conducted by experts on children psychology and behavior, children shouldn’t play with realistic toy guns. My Nerf Jolt EX-1 review: a great Nerf sidearm! The second reason behind the massive popularity of the Nerf Guns, is the fact that they are completely safe and harmless for the children playing with them!Unlike other toy gun models and products that fire small and hard projectiles, usually shaped like pellets, which can really hurt someone should he or she get hit on an unprotected are of the body, Nerf toys fire specially designed projectiles, usually shaped like darts and discs, that have been made using the world famous and really safe and soft Nerf foam! In other words, you won’t have to worry about your children getting hurt or breaking everything in your house while they play their Nerf games!Nerf guns are made by Hasbro, one of the most well known and respected toy manufacturers in the world and they have been around since the early 90s and they are among the best selling and most popular toys in the U.S.A. This has lead to the creation of literally hundreds of Nerf models! There is literally something for everyone: from cheap Nerf guns that are usually simple and easy to use and therefore ideal for children, all the way to expensive models that feature many cool functions such as laser sights and built in flashlights! Is Nerf Rapid Fire the best nerf gun to buy? Read my report! 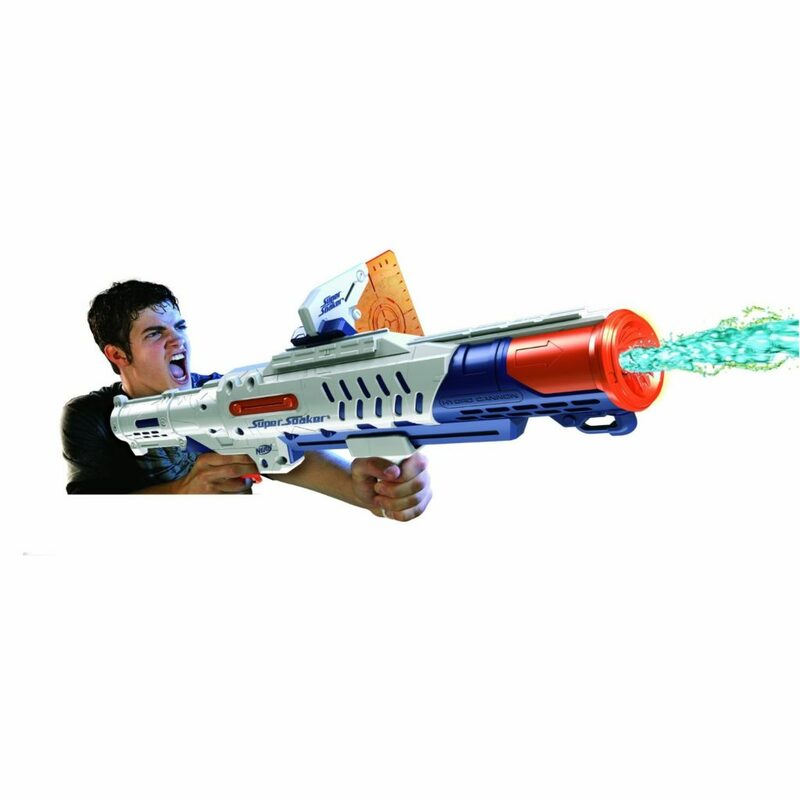 Get invincible at nerf games with the Nerf Dart Tag FuryFire! Read my review! 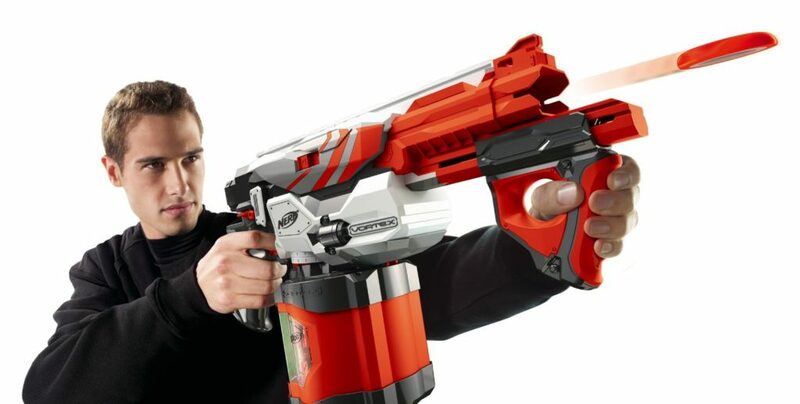 Imagine Yourself using a nerf machine gun: The Nerf Vulcan Havok Fire! Read this. World’s Greatest nerf gun: the Nerf Barricade! Read my review! 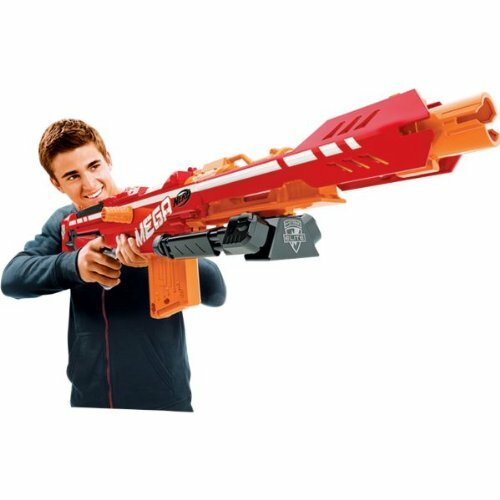 Looking for a really unique Nerf gun? 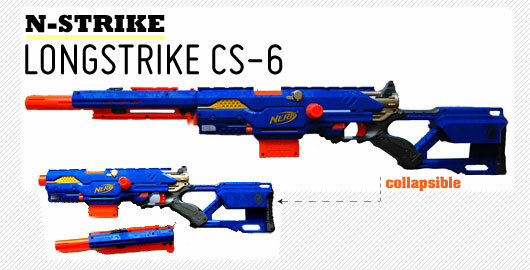 Check out the Nerf N-Strike Firefly REV-8! 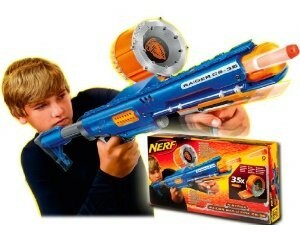 Read This and find the best nerf gun to buy: Nerf Barrel Break! Once again, thank you for visiting our web site! We sincerely hope that our reviews will help you find the best Nerf gun to buy for you or your child!